How do they do all that they do? emotivity? their behaviors? learning human language? 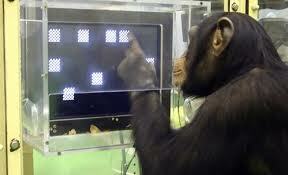 monkeys beating humans in tests? brain/pain/learning abilities etc. I refer to brain as the extended nervous system attachment not just the cranial mass, as the brain is just some sort of ultra nerve bundle conduit.